These are the best credit cards from American Express today. Check below to see which is right for you. A solid card for your everyday usage, particularly if you spend a lot at U.S. supermarkets and want to avoid paying an annual fee. It's hard to match the deep bench of perks offered by this versatile card, from its welcome bonus to unlimited cash back and 0% intro APR offer. The premium U.S. supermarkets and gas earnings rates are among the highest in the market, which makes the modest annual fee justifiable for cardholders who spend in these categories. One of the few remaining balance-transfer cards that includes a $0 balance transfer fee (for transfers made within 60 days). Add in the premium rewards and welcome bonus, and it's hard to ignore. The highest rewards rate for U.S. supermarkets we've seen, and a generous gas rate to match. Combined with the other lucrative perks, the card easily justifies its annual fee. American Express offers some of our favorite credit cards, and it’s no surprise that the issuer is one of the most valuable brands in the world. Whether you’re looking to score some serious cash back rewards, pay off debt with a balance transfer, or travel the world on points and miles, American Express cards have you covered. But before you hit “apply,” here’s everything you need to know about the issuer and its top credit cards. What are Membership Rewards® points worth? 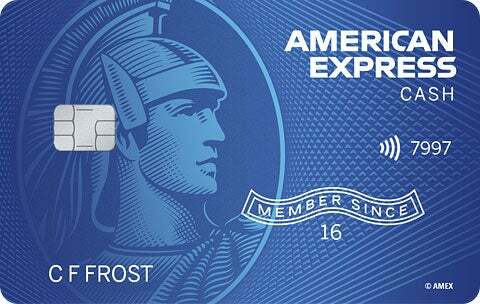 Which American Express credit card is right for you? Is there a bonus? We look for a big bonus that will get you started with a stockpile of rewards. Are the ongoing rewards good? We want to see useful bonus categories and a high rewards rate on regular spending. Does the card offer extra perks? Annual statement credits and travel benefits are always good to have in your wallet. Are the fees low? We like cards with no annual fee and no balance transfer fee, but sometimes a minimal fee can be outweighed by generous benefits. Does the card come with a 0% introductory APR? Having a 0% promotional APR on new purchases or balance transfers can help you save money on interest fees. Is the ongoing APR low? While it’s smart to never carry a balance, sometimes it’s unavoidable, so we do consider the ongoing APR. As credit card enthusiasts, we’ve personally used credit cards like these to pile up points, miles, and cash back rewards. We launched The Ascent to help you take your finances to the next level, whether that’s through credit cards or savings accounts. After poring over more than 300 credit card offers and thousands of data points, our team developed a credit card ranking philosophy to come up with the top picks for your wallet. One big source of confusion with American Express cards is whether they have to be paid in full each month. This depends on the card you select, because American Express offers charge cards, which do have to be paid in full each month, and credit cards, which can carry over a balance each month. Of the best American Express credit cards listed here, only The Platinum Card® from American Express is a charge card, while many others are regular credit cards. 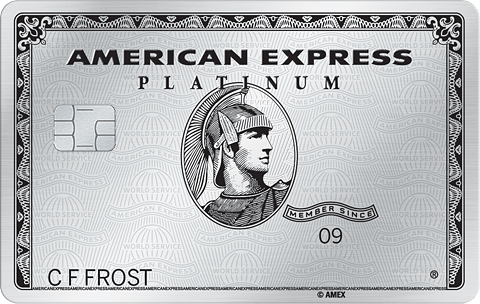 This is why you won’t find a regular APR listed for The Platinum Card® from American Express. Your balance must be paid in full each month. The card also comes without a preset spending limit, unlike credit cards. Charge cards are helpful because they provide the rewards of a credit card without the temptation to overspend, fall into debt, and waste money on hefty interest fees. On the other hand, they offer less financial flexibility. If you’re unable to pay your bill in full one month, you’ll get hit with late fees, a penalty APR higher than a regular credit card’s, and a decreasing credit score, so keep that in mind. When redeemed through Membership Rewards® programs, such as booking travel through the travel portal, purchasing with shopping partners like Amazon, redeeming for statement credits or gift cards, using points for Uber rides, or purchasing event tickets through the Membership Experiences portal, Membership Rewards® points yield a value of $0.005 to $0.01 each. However, Membership Rewards points are also transferable. When you transfer your points to one of the issuer’s airline or hotel partners, you can easily get more than $0.01 out of each point. Some transfer options consistently yield a value of more than $0.02 per point. When calculating a point value across all redemption options, we estimate that Membership Rewards® points are worth $0.012 on average. Membership Rewards® points offer highly flexible redemption options. They can be redeemed through various American Express portals and partners for a flat-rate value, or they can be transferred to a number of different partners. If you want to redeem your Membership Rewards® points with American Express, you’ll find the value you get per point for each option below. These redemption options are easy and useful to just about everyone. However, the redemption rates aren’t great. If you’re looking to maximize the value of your Membership Rewards® points, you also have the option to transfer them to the loyalty programs of nearly 20 different airline and hotel partners listed below. The American Express Membership Rewards® program currently gives you the option to transfer your points to 16 different airline loyalty programs and 2 different hotel loyalty programs. Below you’ll find the transfer rate for each Membership Rewards® partner. Link your accounts. You’ll need to link your loyalty account with the transfer partner of your choice to your Membership Rewards® account. If you don’t have a loyalty account with that partner yet, you’ll need to sign up for one. Specify how many points you’d like to transfer. Transfers are final, so make sure that you check availability and how many points you need for the flight or hotel stay that you want before completing a transfer. Redeem your points with the partner of your choice. Confirm that your points are now in your loyalty account and reserve your travel through that account. Most consumers have credit cards in their wallet that aren’t making the most of their spending habits and credit score. You should take your time and do your research when choosing a credit card to apply for, making sure that you maximize the rewards available to you. Choosing a credit card is a personal decision. It’s important to pick a credit card with both your spending habits and your specific goals in mind. The table below will help guide you in choosing the best American Express credit card for you. When faced with so many options, it can be difficult to select the right credit card. Ask yourself the following questions when comparing the benefits and downsides of different American Express credit cards. If you’re currently paying off high-interest debt, such as credit card debt, that should be your first priority. Rather than worrying about rewards, you’ll want to look for a good balance transfer credit card that can help you get your debt paid down faster and avoid interest fees. The two main features to look at are the balance transfer fee and the length of the 0% promotional APR period. You’ll also want to consider your chances of approval and the credit limit that most cardholders receive, as you won’t be able to transfer an amount larger than your available credit line. Are you more interested in cash or travel rewards? Rewards credit cards fall into two categories: cash back and travel. If you travel often or want to travel more often, travel rewards credit cards can be highly valuable. However, redeeming your points with these credit cards can be more complicated, and if you don’t do your research, you could end up with rewards you can’t use. On the other hand, cash back cards often provide a slightly lower rewards rate, but cash rewards are simple and universal. Many credit cards with annual fees offer generous rewards that can greatly outweigh the fee. However, these cards are only worth it if you’re actively taking advantage of the perks and benefits they offer. If you’re not sure if you’ll be able to make sufficient use of a rewards credit card, opt for a card with no annual fee to start. Are you going to be approved for the card of your choice? It’s impossible to know whether or not you’ll receive approval for any given credit card until you apply. However, you can do some research and estimate your chances of approval based on your credit score. You can read our review of the credit card you’re interested in, which will contain a section detailing the credit score you should have in order to avoid being denied. 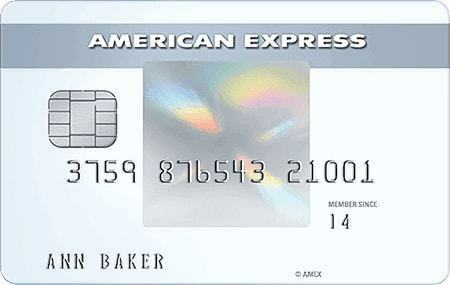 If you have a bad credit score and are looking to improve it, there is an American Express option for you. Apart from getting an American Express credit card, there are a number of things you can do to earn rewards at a faster rate. Here are a few tips to help you pile on the Membership Rewards® points. While you shouldn’t apply for a credit card you won’t use just to get the welcome bonus, it is something you want to consider when choosing an American Express credit card. Often, credit cards with the biggest bonuses can provide you with more points than a year or two of use. In order to maximize the rewards you get from your everyday spending, it often makes sense to pair up two, or sometimes even combine three, different credit cards that offer different spending bonuses. For example, if you got the Amex EveryDay® Preferred Credit Card and The Platinum Card® from American Express, you could use the former on purchases at supermarkets for 3 points per $1 and the latter on travel for 5 points per $1 in order to maximize your rewards. Refer a Friend is American Express’s credit card referral program. You’ll find your personalized referral link on your account page, which you can give out to friends and family. Each time someone applies for the card and is approved through your link, you’ll receive bonus points, miles, or cash back. While your rewards are capped, the maximum is often very high. For example, The Platinum Card® from American Express cardholders get 15,000 Membership Rewards® points for each successful referral, up to 55,000 points per year. Many of the American Express credit cards on this list offer bonus points for purchases at U.S. supermarkets. In order to take advantage of this bonus category, consider buying gift cards at your local supermarket for purchases you know you’ll make elsewhere. For example, if you spend a lot of money dining out -- which only gets you 1 point per $1 on most of these cards -- purchasing gift cards for your favorite restaurants ahead of time at the grocery store will get you 2 to 3 points per $1. There are dozens of ways to redeem your Membership Rewards® points, but with so many options, it’s easy to slip up and redeem your points for less than they’re worth. Here are the best ways to redeem your Membership Rewards® points. This is easily the best way to maximize the value of your Membership Rewards® points, as it’s the only redemption option offered by the cards above that gets you over $0.01 per point. You’ll still have to redeem your airline miles or hotel points wisely. Popular transfer partners for high-value redemptions are British Airways, Singapore Airlines, AeroMexico, Delta Air Lines, Iberia, ANA, Delta Air Lines, Hawaiian Airlines, Jetblue Airways, and Air Canada. Alternatively, some of the lowest value redemptions are the gift card and shopping portal options, which will only get you $0.005 to $0.007 per point. The same is true of redemptions done through the American Express travel portal. While redemptions for statement credits are convenient, you only get $0.006 per point. I’d avoid this option unless you can’t find any other redemption options that work for you.